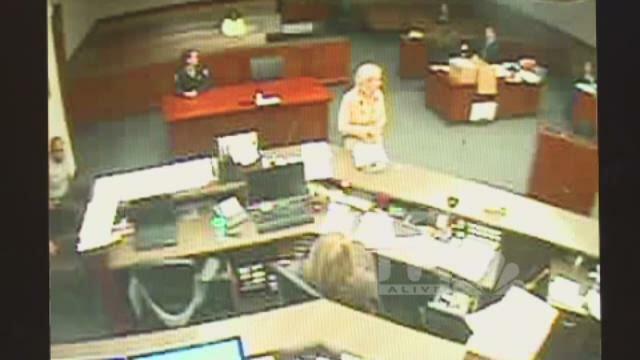 The video shows the judge and ADA referencing several other cases, discussing briefly theories on how many witnesses to call, the mental competency of one defendant and recent jury decisions. District Attorney Vic Reynolds talked with 11Alive's Rebecca Lindstrom about the allegations on Thursday. He says he called his entire staff together when he learned of the motion being filed, to discuss proper conduct with judges. While Reynolds could not discuss the details of the conversation on the tape, he did defend an attorney's ability to discuss administrative matters with a judge. Attorney Nathan Wade said he's not going to weigh in on whether the conversation was appropriate, but personally believes the public's trust has been broken. That's why Wade said he shifted his campaign to run against Green. Originally he had intended to run for an open seat, created by a retiring Superior Court judge. While Green is accused of having an inappropriate conversation with prosecutors, it’s this personal comment that has Wade so upset. That didn’t sit well with Wade. "It’s disturbing to hear and to know that a member of the judicial branch of government doesn’t really have confidence in our jury system." Because of the lawsuit, Green can’t comment, not even to explain or defend his remarks. That’s why Reynolds say the motion against him should be heard in open court soon and that the media should attend. "I think the systems also obligated morally, legally and principally to determine if something did occur before we go down a road of condemning very good people for things," said Reynolds. We asked Reynolds about the behavior of his own staff, seen in one part of the video playing the game 'Rock, Paper, Scissors' to determine who would represent the DA’s office on another case that day. "Should they have done that? Absolutely not. I guarantee they will never do it again. I promise you. They’ve apologized to me," said Reynolds. Reynolds called them two excellent prosecutors having a "human moment". But seeing the snippets of video made other attorneys - and even members of the public - wonder what else was happening in the courtroom. As they started filing open records requests, attorney Ashleigh Merchant says the rules began to change. Merchant said she's requested copies of the courts security videos in the past and they have always cost $5. But in response to her most recent request, the cost jumped closer to $250. Merchant filed a lawsuit accusing the county of trying to block access to the recordings that could expose examples of misconduct. Cobb County said there’s been no change - just a return to policy. It said the video at the center of this controversy should have been screened prior to its release by law enforcement, but that didn't happen. The cost per hour to have the recordings screened, per Merchant's quote, is $25.64. In a written statement a county spokesperson said that "it's necessary to review the proceedings to make sure nothing released would compromise the safety and security of our court and its participants." "Any citizen can sit in any courtroom at any time to watch these proceedings so what’s the difference between a citizen being able to go and watch the actual tape and being able to review that tape versus sitting there in open court?"